Co-founder of DATA and famous Cambridge Analytica/Facebook whistleblower, Kaiser emphasized how crucial data ownership has become since the rise of social media. She stated her points during an unofficial SXSW fireside chat alongside Anne Ahola Ward, CEO of Veritoken Global and IBM Futurist. “As of last Friday, Wyoming passed the first law recognizing direct property rights for individual owners of digital assets of all types, including virtual currencies, digital securities and utility tokens. This allows anyone in the state of Wyoming to have digital assets as property. While digital assets are tokens on the blockchain, they are now being used to secure personal data,” explained Kaiser. The discussion shed light on the fact that some of the world’s largest and most valuable companies, such as Facebook and Google, have grown to become multi-trillion dollar industries as a result of collecting user’s personal data, often times without consent. “Do you think Facebook and Google would be worth what they are today if they weren’t made up of our digital assets, which is actually our personal data?” asked Kaiser. While Kaiser explained how social media platforms, such as Facebook, have manipulated users into sharing their personal information through “harmless” apps and games, Ward explained that as consumers it has become difficult to own data of any sort. Ward then pointed out that NFTs could help solve this. “We are consuming everything and have nothing to ourselves anymore. We have given too much power to a few people and as a result are experiencing the backlash, said Ward. I believe the future is going to be in NFTs. Coming from a developer background, we have the opportunity to include NFTs when releasing software. My only concern now is that the gaming companies are working against us. It’s time that we all come together, pull our resources and stop forking things for fun,” said Ward. Following up on Ward’s point, Kaiser mentioned that smart contracts are also being used by certain organizations to ensure that companies don’t abuse user data. However, both Kaiser and Ward agreed that blockchain technology isn’t the silver bullet solution. Rather, legislation must be passed to ensure that user’s data isn’t abused. “GDPR was essentially a corporate death penalty. Blockchain allows us the ability to self-regulate, especially with NFTs, but we may still see the congressional hearings on big tech lead to new laws,” said Ward. 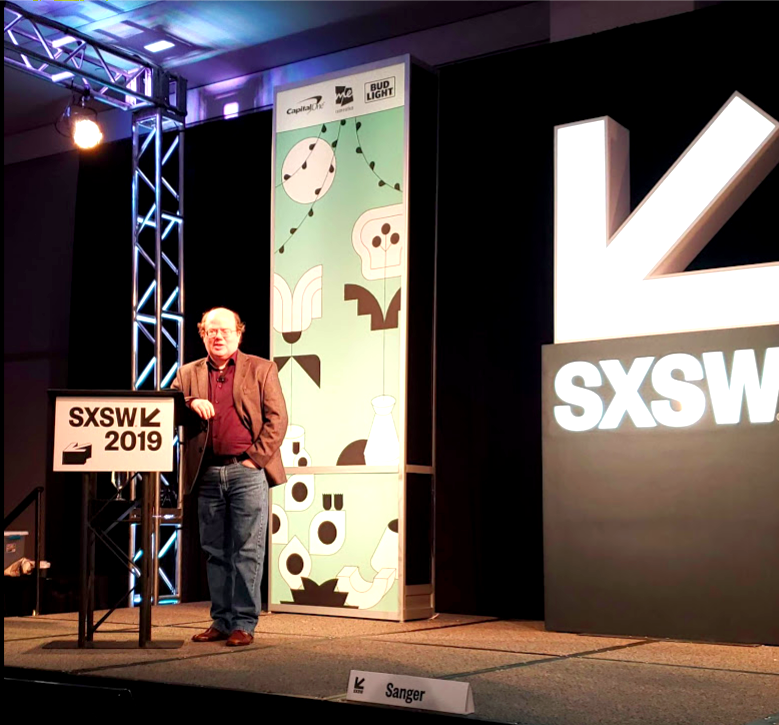 Co-founder of Wikipedia and chief information officer (CIO) for Everpedia, Dr. Larry Sanger, also made the case for data ownership. During a featured session at SXSW, Dr. Sanger spoke to a full room about the various problems caused by centralized social media platforms. “It’s a shame that it has taken several minor disasters for social media users to realize what a serious problem Facebook and other platforms have caused by stealing personal data. These platforms are in the business to make money. They make money not only by putting us under the microscope on behalf of advertisers, but also by manipulating users in all sorts of ways that aren’t in their interest. If we owned our own data, and the entire system was decentralized, then Facebook and Google wouldn’t be able to do this,” said Dr. Sanger. Dr. Sanger also pointed out the “coordination problem.” He explained that once family, friends and colleagues join a centralized, social media platform, such as Facebook, no one will move away from that network unless everyone else does. As a result, a lack of coordination is seen when people attempt to migrate off centralized forms of social media. “The coordination problem in a nutshell, as applied to social media, is the fact that any mass migration off big social media platforms requires coordination among all of us, which is difficult. Yet coordination seems necessary, as social media platforms maintain value mainly due to the critical mass of users. As awful as it can be, Facebook has value because of all the people on its network. As great as alternative platforms may be, they won’t have much value if not many people are using them,” explained Dr. Sanger. Dr. Sanger has proposed gathering a group of like-minded influencers in an attempt to coordinate the masses to use various decentralized social platforms, such as Everpedia. Tokenization, which is taking real-world assets and placing them on a blockchain network, was also widely debated. During an unofficial SXSW panel, Founder of ATO Gallery, Carrie Eldridge, explained how tokenizing assets, such as artwork, helps ensure data ownership. “In terms of tokenization, ATO Gallery provides a sense of ownership in that the underlying asset our tokens represents are pieces of artwork created by specific artists who have data, records, and proven market value and demand. That artwork has value for collectors, museums, art historians, and educators. If for any reasons that token stops being minted, the existing owners have claim to the underlying assets on hand. It’s a legal obligation that protects both the token holder and the artist,” said Eldridge. Alongside Eldridge, chief investment officer of NovaBlock Capital, Blake Richman, noted how tokenization has become important for retail investors seeking greater liquidity. 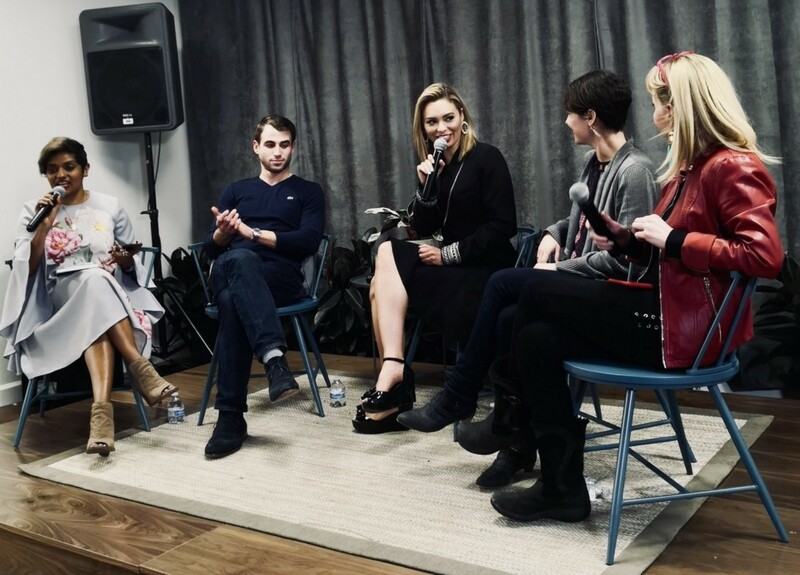 Meanwhile, “The Future of Music” panel that took place at the ConsenSys SXSW Blockchain House explored the transformative nature of crowdfunding music production and the impact blockchain can have on publishers, labels, artists, IP owners and consumers. Phu Styles, Founder of the Women in Blockchain Foundation and Vezt Advisor, explained how tokenization will empower musicians and other artists to own their data. You can read more about blockchain technology on my Forbes column. Follow me on Twitter for the latest blockchain and crypto news. Wikipedia Co-Founder and Others Debate Blockchain Technology and Data Ownership at SXSW was originally published in Hacker Noon on Medium, where people are continuing the conversation by highlighting and responding to this story.